Life insurance is one of the best ways to protect your family. Life insurance isn’t for you; it’s for your loved ones who will be left behind. Life insurance benefits can cover mortgage, children’s education, protect their way of living, medical and other expenses once you are gone. More important, they can provide peace of mind for your family during a difficult time. 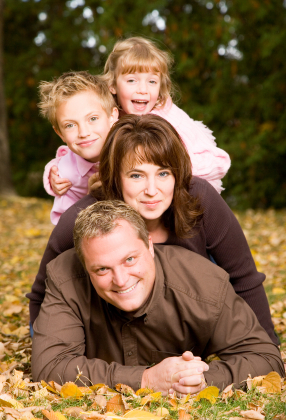 The cash payout from your insurance policy can help protect your most valuable asset: your family. If you’re married, life insurance benefits can provide a stable future for your spouse and children. It can ensure that the dreams and plans you had for them can still become a reality once you are gone. Term Life: With term life, the insured individual receives coverage for a designated number of years in exchange for a specified premium or payout amount. The policy doesn’t accumulate cash value, and the premium buys protection only in the event of death. If the policy holder dies before the specified term is up (excluding a situation involving suicide), his/her estate or named beneficiary receives a payout. If he/she outlives specified time, no payout will be made. The payout amount, premium and length of coverage are selected by the policy holder. Term life is generally the simplest and most affordable type of insurance you can buy. Permanent Life: Permanent life insurance, as the name indicates, remains in force until the policy matures or pays out. Permanent insurance builds cash value that you can access by withdrawing money, borrowing the cash value, or “surrendering” the policy and receiving the lower, surrender value. The policy can’t be canceled by the insurer for any reason except fraud in the application or for non-payment. If the policy is cancelled, it must take place within a legally-permitted time period (normally two years). Whole Life: Whole life insurance offers the advantages of guaranteed death benefits, guaranteed cash values, and predictable, fixed annual premiums. In addition, it provides mortality and expense charges that won’t reduce the policy’s cash value. Whole life premiums are much higher than term insurance in the short-term. However, it offers cash value that can be accessed at any time through policy “loans” and are received “income-tax free”. Universal Life: This fairly new type of insurance provides permanent insurance coverage with flexible premiums and the potential for building cash value. A universal life insurance policy includes a cash account—which decreases over time—and earns interest at a rate determined by the insurance company. Universal life puts policy holders in control because it allows them to make modifications throughout the life of the policy. It is generally more affordable than whole life, but more expensive than term life insurance. Final Expense: The hardest thing we must ever face is the death of a loved one. On top of this, surviving loved ones are often left to handle any end-of-life medical expenses and funeral costs. These expenses can add to the sense of grief and stress surviving friends and family members feel. Final expense life insurance was created to prevent this added pressure. A final expense policy – also called burial insurance, funeral insurance, or end-of-life insurance – gives your loved ones a sum of money upon your death that can be used to cover any expenses you leave behind, such as medical bills and funeral costs. Easy qualification. Because the coverage amount is lower than other types of life insurance, some final expense policies don’t require a medical exam to qualify. Most policies can be issued based on answers to health questions on the life insurance application. Don’t leave your family unprotected and unprepared for the future! Contact us to discuss your life insurance needs today and receive a free, no-obligation proposal.